But the ground seems to be crumbling under his feet ever since the news broke about his fake university degree. The Kedah-born Marzuki is fighting for his survival even as the cruel world of social media has pronounced him guilty and is demanding that he resigns from his Foreign Ministry job. It has been pointed out that if this was the private sector, the person would have been fired without further ado because it is a question of his Own credibility and personal integrity. The question on everyone’s lips is whether Prime Minister Tun Dr. Mahathir Mohamad will take the necessary action to safeguard the image of his government and party. As former Jelutong MP Jeff Ooi pointed out, the collateral damage to Bersatu is high given that Marzuki is the party’s Secretary -General. “I have known Marzuki since our days in UMNO Youth, and he never claimed he was from Cambridge University. My personal experience with him is that he is always supportive and has integrity as a politician,” said Bersatu supreme council member Akhramsyah Sanusi. But Akhramsyah, who is also Mara Corp chairman, admitted he was shocked by the public furore.“I want to stress that he was chosen as a deputy minister mainly for his experience and sacrifices for the party. “We want our leaders to be of the highest integrity but I also believe in giving people a second chance,” said Akhramsyah. The Marzuki scandal could not have happened at a worse time for Bersatu which is facing a pivotal by-election in Semenyih. Several Pakatan leaders have jumped to their defence, saying that one does not need a degree to be an effective politician.They are perfectly right except that the issue here concerns the integrity of politicians who have fake qualifications. The scandal has cast a pall over the court application. Those familiar with Dr Mahathir do not expect him to ask Marzuki to resign. The elderly leader has a track record of defending the indefensible for as long as the person is his loyalist.But this is New Malaysia. If Dr Mahathir decides to save Marzuki, he will not get the same docile reaction from the public as during his first round as Prime Minister. It will be awkward for Marzuki to continue in foreign affairs Ministry. If Dr. Mahathir decides to keep him, he may want to put Marzuki where he does not have to represent the country. Posted in Character and Integrity, Foreign Policy, Pakatan Harapan, Parti Pribumi Bersatu Malaysia, Politics, Public Accountability, Tun Dr Mahathir Mohamad, Wisma Putra, www.thestar.com.my. IN my agama school in Johor Baru in the 1960s, I learnt about Iblis (Satan) who refused to bow down with the other angels before the first human (Adam) that God crea­ted. When God asked why, Iblis said, “I am better than him; You created me from fire and you created him from dirt.” For his contempt and his disobedience, God cast Iblis out of heaven. This parable has remained in my mind as it is this belief in one’s superiority that is the root of cruelty and injustice in the world. To think that one is better, one is greater, one is superior than the other in the name of religion, race, ethnicity, gender, caste, class, leads to all manner of injustice against those who are different from us – for no other reason than the fact that they are different. It is the logic of Satan. At last Tuesday’s seminar on Islam and Human Rights organised by JJAKIMakim and Suhakam, the de facto Minister for Religion, Datuk Seri Dr Mujahid Yusof, made an impassioned plea for Muslims to recognise that human rights are a part of Islamic belief. He sprinkled his speech with verses from the Quran and stories from Prophet Muhammad’s life to illustrate the values of justice, compassion, dignity, freedom of religion, non-discrimination, and anti-racism. Human rights, he said, constitute “darah daging” (inherent in) Islam. There will never be peace, he warned, if one side insists that its race or its religion is superior as the other side will then retaliate with its own claim of superiority. Two Malay men who had entered the hall in tanjak and keris regalia to display their “superior” Malay identity slinked away in silence after the speech. Mujahid said he wanted to create a new narrative for a new Malaysia. I believe this is an imperative given the dogged efforts by the supremacists of race and religion to destabilise this new government and derail its change agenda. And I hope Mujahid’s colleagues in the Cabinet and the Pakatan Harapan leadership and membership will share his courage of conviction to do the same. For Malaysia cannot afford to go on being polarised on the basis of race and religion. Events over the past few weeks reveal the continuing agenda of these desperate demagogues to incite hate and escalate further the sense of siege and fear among certain segments of the Malay community. These mischief makers are priming for violence, with threats of blood being shed and another May 13 being engineered. Such incitement to hatred and violence constitute criminal acts that must not be allowed to go unpunished. It is obvious that those baying for blood are those who have lost political power and lucrative financial entitlements that they were used to. If they can no longer plunder the country at will as in the past, let’s tear this country asunder so that no one else benefits, seems to be their plan. And they dare proclaim they are doing this in order to protect the Malays and Islam? What an insult. You can fool some Malays some of the time, but you can’t fool all the Malays all of the time. Enough Malays stood up on May 9 to say enough is enough and voted for change. Let’s get real here. While Pakatan Harapan might have garnered only 30% of the Malay votes, Umno’s share of the Malay votes plummeted by a whopping 15%. There was not just a significant Malay swing, but also a youth swing against Umno and all that it stood for – epitomised by a leader who thought it was all right that RM2.6bil could enter his personal bank account, countenanced by his cabinet and his party leadership. The challenge before this Pakatan Harapan government is to find effective ways to build more Malay support for its change agenda. Who really pose a threat to the well-being of the Malays? Those who claim to speak in their name and yet plundered the wealth of the nation for personal gain cannot possibly be the champions of those left behind. The focus of affirmative action must be on those left behind. They have a right to feel aggrieved, not the privileged UMNOputras whose gravy train is wrecked, with no spare parts in sight. Rising inequality and low wages must be addressed immediately so that these demagogues who exploit the vulnerabilities of those left behind have little space to advance their us-versus-them hate narratives. Datuk Onn Jaafar would be crying in his grave to know that almost 100 years after he relentlessly wrote and cajoled the Malays to work hard, to study hard, to send their daughters to school, to be entrepreneurs, to be brave and confident, to take risks and be their own bosses, the party he founded is today led by those who manufacture endless threats in order to keep the Malays feeling insecure and fearful, instead of building their confidence and their capacity to embrace change. Onn was obsessed since the 1920s with the backwardness of the Malays, and the need to “betulkan orang Melayu” (get the Malays on the right path). I choke at the sight of our 93-year-old Prime Minister still obsessed with this same mission. It is a tragedy that 72 years after the founding of UMNO, 61 years of being the dominant party in power, 47 years of affirmative action, these UMNO leaders and Ketuanan Melayu agitators still cannot figure out what they might have done wrong if the Malays still feel insecure and left behind in the country’s development. Obviously, their priority is not to find solutions. Their priority is how to get back into power. Since the rakyat have lost confidence in their leadership, and refuse to buy into their race and religion under threat mantra, they are upping the ante by publicly baying for blood and violence. What a disgrace, what a betrayal. But how do you get those Malays who feel threatened by every conceivable difference to deal with the realities of the Malaysia and the world they live in today? How does this new government undo the damage of decades of indoctrination and demonisation against the Chinese, the Christians, the DAP, the liberal Muslims, the LGBT community, the Shi’as, the Ahmadiyyahs, and against principles and standards that uphold equality, non-discrimination, human rights, liberalism and pluralism. These were all constructed as bogeymen used to divide the nation in order to build Malay groupthink for their Ketuanan Melayu and authorita­rian brand of Islam to maintain power and privilege. This pipeline of hate and mistrust must be plugged.The latest Merdeka Centre survey on religious extremism in Southeast Asia shows that narratives matter. Muslims who believe in the diet of conservative beliefs such as a literalist understanding of Islam, the primacy of hudud law, and reviving the Islamic Caliphate are those who feel animosity towards others who are different from them and who hold violent and non-violent religious extremist tendencies. Around 66% of Muslims in Malaysia want non-Sunni sects to be banned, and only 41% support multi-faith education, compared to 73% non-Muslims who believe that students should learn the religious beliefs of all groups. What is also disturbing is the attitude towards Christians, Buddhists and Hindus. Muslim respondents in Malaysia look negatively towards these “outgroups”, when asked to rank their attitudes towards others. Malaysian Muslims also scored the highest in terms of support for Jemaah Islamiyah (18%) and ISIS (5%), compared to Muslims in Indonesia, the Philippines and Thailand. May 9 has given us hope that change is possible. The new Malaysia must build new dominant narratives on a just and compassionate Islam in a Malaysia that is big enough for every one of every hue and colour. 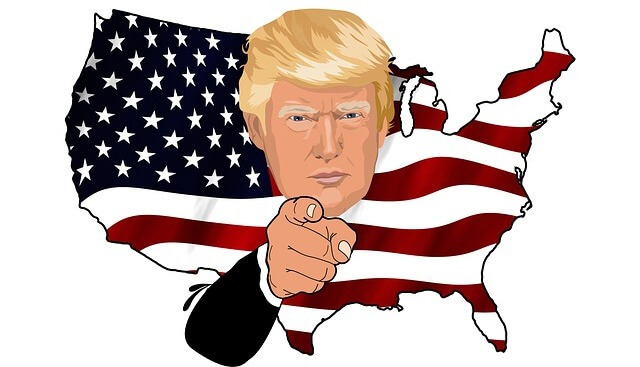 Those in government, in academia, in business, in the media, and in civil society must take the bull by the horn in loudly challenging the hate spewed out by these supremacists who use race and religion to divide the nation for political and personal gain. Rule of law must be upheld and the authorities must take firm action against those who incite racial and religious hatred. The responsibility to steer this nation to embrace diversity and differences belong to all of us. There is no other choice. We need to reimagine and rebuild this new Malaysia if we want to live together in peace and prosperity in an inclusive country that should be a model to the Global South and to the Muslim world. We were once that country. We will, we must, we can, once again, be that model. Posted in Character and Integrity, Civil Rights, civil society issues, Critical Thinking, Ethics, Islam Malaysia, PAS, Political Islam, Politics, reform, Religion, Tun Dr. Mahathir Mohamad, www.thestar.com.my. IT is an ASEAN homecoming for Tun Dr Mahathir Mohamad at the summit hosted by Singapore. The last time he attended an ASEAN Summit was in Bali 15 years ago where then Indonesian President Megawati Sukarnoputri gave a tearful farewell speech. This week at the 33rd ASEAN summit, all eyes will be on the Prime Minister again as he sits down next to another female leader who he has been critical of in recent weeks. And because of ASEAN’s way of doing things, the seating arrangement will be done in alphabetical order – which means Dr Mahathir will be seated next to Myanmar’s Aung San Suu Kyi. In his Address at the United Nations General Assembly (UNGA) in September, Dr Mahathir blamed Myanmar authorities, including a Nobel Peace Laureate, for closing their eyes to the fate of Muslims in Rakhine state who were being murdered and forced to flee their homes. In an interview conducted the same week in New York, the Prime Minister made it clear that Malaysia would no longer lend its support to Suu Kyi over her handling of the Rohingya. He remarked that Suu Kyi seemed to be a “changed person” and he had lost faith in her. For years, it was taboo for ASEAN leaders to even mention the word “Rohingya” during their meeting, skirting the issue by using words like Muslims and Rakhine state, bearing in mind ASEAN’s non-interference in the domestic affairs of another country. But the situation became worse, and it is understood that Malaysia started raising the matter during the leaders’ retreat as recent as three years ago. “The leaders’ retreat is where they can raise any issue but it will be unrecorded. But when we saw no serious efforts from Myanmar, Malaysia started using ‘Rohingya’ at official meetings,” said an official familiar with the issue. “Obviously, Myanmar didn’t like it. It was an affront to them. We all know this is beyond the red line for them but we did it,” he added. And Suu Kyi, who has been attending these summits, showed her displeasure. “You could tell from the body language and all that. She did not like it,” said an official. At the ASEAN summit, the 10 leaders would normally pose for a group photo holding hands and giving their best smiles to the international media.Even former Prime MInister Datuk Seri Najib Tun Razak felt uncomfortable, telling his officers it was awkward. So how would Suu Kyi handle someone who has lost faith in her? Would she care enough to find time and explain to a leader who once fought hard for Myanmar to be a part of ASEAN despite the world condemnation against the military regime that curtailed her freedom? As for Dr Mahathir, the rest of ASEAN must be looking to him, wondering what he would do next. “What else is Malaysia doing after such strident statements by the Prime Minister?No ASEAN country in recent times has singled out the leader of a fellow AASEANean country especially on the United Nations platform,” said an official. When Dr Mahathir says he no longer supports Suu Kyi, what does he mean exactly? Suu Kyi is a legitimate leader who is still popular among her people. “What is it that you want to do when you make that statement? What message are you sending? “How do you translate it through Malaysia’s foreign policy,” asked an observer. “Malaysia must realise there could be some repercussion over such remarks. It may affect not only relations with Myanmar but also other ASEAN countries because “we are like a family”. Whatever the Prime Minister utters is officially national position. Which means officials will have to rationalise it and implement it in the best way that will protect and promote Malaysia’s interests, not only in its relations to the country concerned but also ASEAN and globally. An official admitted that any statement deemed critical of leaders of another country could diminish any measure of trust that remains between Malaysia and Myanmar. “In ASEAN or even Asia as a whole, face saving is very important. You do not humiliate, you don’t admonish if you want to maintain relations and some form of trust,” the official said. Going tough on the Rohingya issue started in Najib’s time. Is Dr Mahathir’s speech at UNGA an indication that the current Government is not compromising and will take an even tougher stance on this issue? For Malaysia to play a constructive role, it is important to protect and maintain some level of goodwill and trust. Putting it simply, it is vital to maintain good relations and keep the communication lines open. Posted in ASEAN, ASEAN Economic Community, Aung San Suu Kyi--Nobel Laureate, Foreign Affairs, Foreign Policy, Genocide, Geo-Politics, Human Rights, Malaysia, Myanmar, Nationalism, Peace and Development--The ASEAN Way, Politics, Realpolitik, Rohingya Refugee Crisis, Tun Dr. Mahathir Mohamad, www.thestar.com.my. As we found out in the 1997-99 financial crisis, and as the Turkey implosion is now reminding us, it is crucial to defend our economic independence, and that can be done only by keeping out of a debt crisis. IT’S a few days more to National Day. It’s a good time to remember that nothing is more precious than our independence, where we have the right and means to determine our own economic and social policies. With that freedom and space, the country and its leaders must then make and implement good policies and practices that improve the people’s lives and well-being. This is easier said than done. A wrong turn on the road can land the country in trouble, and its independence can even be snatched away. 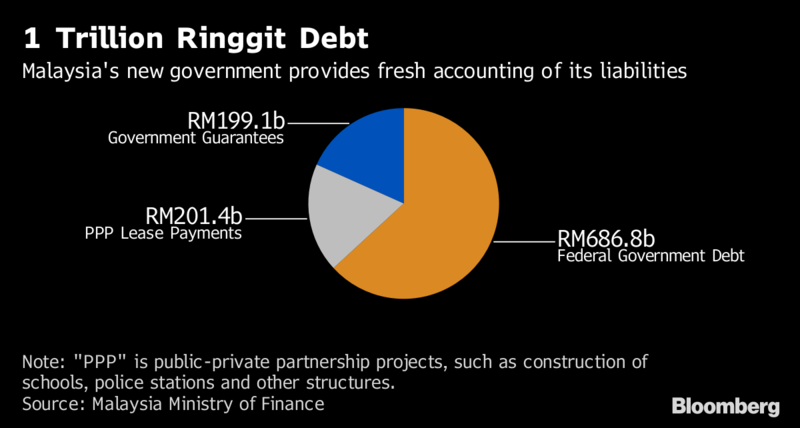 The new Pakatan Harapan government has highlighted how government borrowings had increased explosively under the previous regime, until the country was on the brink of a debt crisis. Averting that trap has correctly been a top priority of the government during and after its first 100 days. Prime Minister Tun Dr Mahathir Mohamad’s trip to China last week was aimed at addressing the high cost of three projects. Their cancellation or postponement results in compensation costs, but these will be less wasteful than pouring money into the over-priced projects. Malaysia’s ex-Finance Minister thinks that he is a Fiscal Genius. He has been charged with corruption and abuse of power. There is also the 1MDB saga and many other direct or government guaranteed loans that went sour. If loans are taken for projects that do not yield enough revenue to service the debts, they add to the problem. And if the total loans are huge, the government is in trouble. Since the federal government debt has reached one trillion ringgit or more, it is imperative to bring it down to a manageable level. Not an easy job at all. Already a large part of the government budget must be set aside to service the debt, with less available for operations and development. Some of the Pakatan manifesto promises will have to take longer to fulfil because there is less money. Many understand that saving the country from economic disaster is more important than having goodies now that we can’t afford. For example, cancelling all highway tolls just can’t be done now, and may be unwise even later; at the least, it should be selectively done. Revenue should be raised for example by increasing “sin taxes” on cigarettes and gambling, and by new taxes on sugar-filled products, including soft drinks. Many projects on the drawing board or in the pipeline should be reviewed. Even some projects that make sense may need to be postponed. Those that are not economically feasible – they can’t yield sufficient revenue – should not be implemented, unless they are really urgently needed. Besides their overly high cost estimates, some projects have projected revenues that are unrealistically hiked up, for example, those that rely on over-blown estimates of the numbers of people who will use a highway or a train service. In designing and carrying out reforms, it is important that the government ensures that the costs of policy adjustments do not fall on the bottom sections of society. While the focus has been on government debt, it is also necessary to carefully manage the country’s external debt. These are debts owed to foreigners and foreign institutions by the government and its enterprises, private companies and banks. In recent years, the country’s external debt has been growing, reaching RM936bil at end-June. This comprises the external debt of government (RM184bil), banks (RM354bil), other institutions including companies (RM387bil) and monetary authorities (RM12bil). About two-thirds of the total debt is denominated in foreign currency (mainly US dollars) and a third (mainly government bonds) are ringgit-denominated. Though the external debt level is high, Malaysia currently does not have a problem servicing it. The international reserves – RM421.7bil at end-June – are sufficient to cover the debt servicing costs. There is a need, however, to keep close tabs because the international situation has darkened considerably. And many countries, Malaysia included, are affected. A “perfect storm” has in fact started. The United States has stopped pumping billions into its banking system, thus reversing its quantitative easing policy. So there is now less liquidity and US interest rates are rising. Funds that surged into emerging economies are moving out. Currencies of developing countries are declining against the US dollar, and their stock markets are declining. The trade war is adding to the gloom. All that’s needed is a trigger to set off a chain of events. This seemed to have arrived with the currency crisis in Turkey. The country was already very vulnerable, with a big current account deficit, large external debt, low foreign reserves and high inflation. When the US doubled the tariffs on Turkey’s steel, that triggered an exodus of funds from Turkey and a fall in its currency, which has lost 40% of its value against the US dollar since the start of the year. The Turkish government is now in full battle mode, trying to keep the country from having to go to the International Monetary Fund for a bailout. It is in a tough fight trying to defend its economic independence. Spooked by the Turkey crisis, on top of the trade war, foreign funds in the past few weeks have been leaving many developing countries, including Malaysia. The dreaded term “contagion effect” is increasingly used to describe the situation. Most vulnerable are countries that have high external debts, current account deficits and low reserves. Fortunately Malaysia is not in the frontline of these crisis-prone countries. But there is global turbulence on the near horizon, and we should prepare for it, on top of the efforts to control the domestic problems of government debt, budget deficit, unviable projects, a high cost of living and a host of social issues. A country forced to take a bailout loan from the IMF faces conditions that are often humiliating and inappropriate. It loses its independence. So let us happily celebrate the Merdeka anniversary, for there is much to be glad about this year with a new government that brings the promise of a New Malaysia. But let us also remind ourselves of the importance of retaining enough freedom to make our own policies, and to ensure we do make the right policies to maintain and defend our economic independence and national sovereignty. Posted in 1MDB Financial Scandal, China-Malaysia Relations, civil society issues, Corruption, Economic Policy, Fiscal Mess, Governance, Malaysia, Najib Razak, National Unity, Pakatan Harapan, Politics, Public Accountability, Tun Dr. Mahathir Mohamad, www.thestar.com.my. FOR further proof that China’s planners don’t always get it right, look no further than the current trade war with the United States. According to the latest reports including from within China, Beijing is flitting between damage control mode and full-on panic. A senior researcher at a Chinese think tank recently remarked that China has never seen anything as aggressive as the Trump administration’s current actions on trade. Yet these are still early days – far worse may yet come. China is unsure what to do and never saw any of it coming. It cannot understand Trump, and there is no sign it ever will. Not that Donald Trump’s style is necessarily comprehensible or even decipherable. China is now reportedly casting about for useful advice on managing Trump. It is even looking abroad for workable tips. Amid all the uncertainty, at least three things are clear. One, things are all set to get worse before they get any better. And while China still has buttons to press, it is inadequately prepared for more fallout. Two, China cannot “read” Trump’s moves because they seem coded or inaccessible to sensible interpretation. That is actually his strength. Three, the prospect of meaningful trade talks is virtually nil. China just has to sweat it out or worse, at least for now. 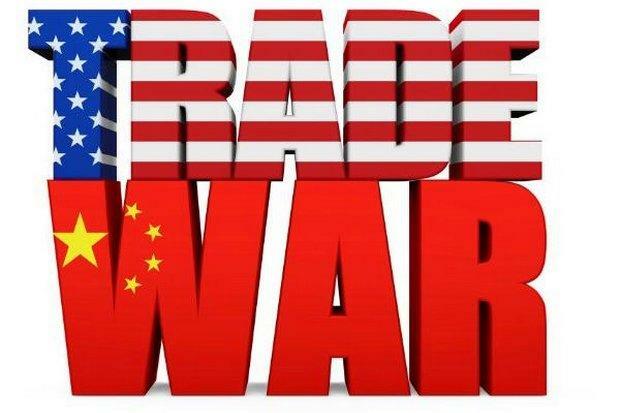 As of midweek, the US and China have imposed 25% tariffs on US$34bil (RM139bil) of each other’s goods with another US$16bil (RM65bil) of products as the next tranche. At this point, Trump’s legion of critics in the US may need to take a breather to suspend their cynicism about his style. His very unpredictability, so often an object of ridicule, is actually a tactical advantage useful for keeping his opponents guessing, distracted and off-balance. By bobbing and weaving, he seems to be inconsistent and even unsteady. But it helps to keep the other side wrong-footed. It is something China should know about – drunken kung fu or drunken boxing. China’s stiff and straitlaced policymakers today forget their own culture and history at their peril. An international consensus is developing that China should have acted to address US trade complaints, and acted sooner. Now the costs of delay for China may be higher than anticipated. It is not just the tariffs and trade restrictions, of course. For today’s excess-capacity China the problems include the risk of ballooning unemployment, crimped liquidity and the knock-on domestic social problems they can cause. Paradoxically, the years of cruising on fat growth figures have bred a crippling complacency. Thus the sense of unpreparedness now stings so much more. China’s once-abundant funds are now becoming cramped. Last week the People’s Bank of China injected US$74bil (RM302bil) into the system and the State Council announced another US$200bil (RM815bil) for infrastructure. Among China’s miscalculations was its assertiveness over its South China Sea claims. With its overbearing presence in disputed territory, it upset neighbours and consumed decades-long goodwill and trust in the region. That was not what the China of Deng Xiaoping or his immediate successors would have done. China then was wiser and more circumspect, knowing how to bide its time and apply soft power to win friends and influence people. But that is not today’s China. Nonetheless, questionable conduct comes with a price tag quite regardless of any positive achievements before. Another mistake was to misread European complaints about Trump’s trade policies. China thought it could lead an alliance of sorts against those policies, only to find that core Western interests meant more to Europe. As a result of these missteps, the US excluded China from its biennial Rimpac (Rim of the Pacific) 26-nation military exercise this year, while inviting Vietnam for the first time. But another exercise hosted this month by Australia, and involving 27 countries including China, will proceed as planned. However, there will be no live-fire drills for China. Meanwhile Britain is raising its level of naval activity in the region but will not be part of Australia’s programme. A calibrated response to China’s South China Sea assertiveness seems to be emerging among the Western allies. China will not fail to take notice. But whether it will have any effect on Beijing’s plans and policies is another matter. Nonetheless, regardless of what concessions Australia is prepared to make with China, Canberra is still competing with Beijing on some issues. One of these is Australia’s aid programmes for South Pacific island nations. This comes to A$1.3bil (RM4bil) for this year. Although this amount may seem paltry, it compares favourably to China’s US$1.7bil (RM7bil) for 2006 to 2016. Ordinarily, China would be able to top Australia’s allocation in a single stroke. But the trade war with the US is making itself felt. Besides, China has other cost items to look after, not least the sprawling multi-nation Belt and Road Initiative (BRI). The BRI is not just another project – it has been set in stone in the destinies of the Communist Party of China, the state system and President Xi Jinping himself. At an Indo-Pacific Business Forum in Washington last Monday, Secretary of State Mike Pompeo unveiled new largesse for developing infrastructure in the region. The trio of countries in this scheduled spending exercise are the US, Japan and Australia. Not officially mentioned is the great big elephant in the room, China, the object of this round of manoeuvres. Can the US really hope to outspend and out-construct China? Can it do so even with the help of Japan and Australia? There was also a time when the answer would be an unqualified no. But now China’s spending style has become somewhat cramped. The trade war aside, little if anything has changed in the fortunes of Japan and Australia. Japan’s economy remains largely in the doldrums for a quarter of a century now. No great elevation in fortunes seems likely. The Australian economy is increasingly drawn into China’s orbit, while Canberra is in two minds about opting to be more Asian or staying fully within the Western alliance. The US economy has not risen substantially in recent times, nor has it shown much sign of doing so sustainably over the long term. A trade war hurts everybody and benefits nobody. A shooting war, likewise. An expenditure war, or competition to build transnational infrastructure, improves connectivity for trade and travel. It benefits everybody and hurts nobody. In the past, however, a country such as the US would have to borrow from China to initiate such projects. It may still have to do so. The countries between them would probably benefit the most. In spite of itself, China has begun to undergo a sobering experience about the costs of massive infrastructure projects. It has unwittingly become more conscious of the predicament of countries like Malaysia. Asking questions about the viability and returns on investment of such projects is Beijing’s new normal. The larger question is whether the trade war will hurt China or the US first, appreciably, to alter the course in the other’s favour. Posted in Asia, China, Diplomacy, Donald J Trump, Economic Policy, Foreign Policy, US-China Relations, www.thestar.com.my, Xi Jinping.